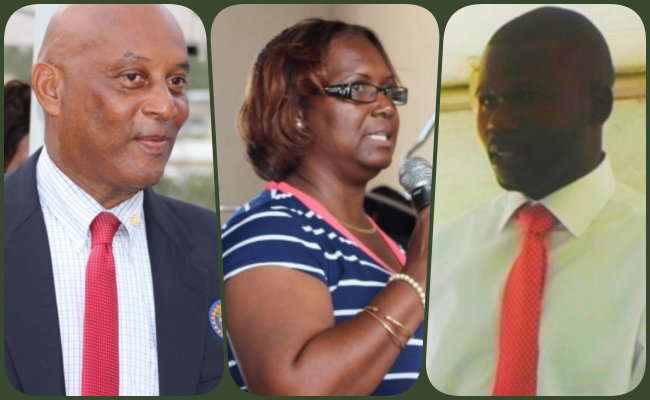 A number public servants heading departments under the governing National Democratic Party (NDP) administration has been named among six candidates who will be contesting the next general elections under the Virgin Islands Party (VIP) banner. These public servants include Director of Culture Luce Hodge-Smith, who was named as the VIP’s candidate for the Fourth Electoral District. The VIP said Director of the Department of Motor Vehicles Kye Rhymer will be the party’s challenger for the Fifth District. Former Acting Permanent Secretary in the Ministry of Communications and Works John Samuel was named as the VIP’s contender for the Sixth District while VIP President Dr Natalio ‘Sowande’ Wheatley will contest in the Seventh. Sister Islands Coordinator Vincent Wheatley is another incumbent public servant named as a VIP candidate for the upcoming elections. He will be contesting for the Ninth Electoral District seat. As previously announced, VIP Chairman Andrew Fahie will be looking continue as the representative of the First District for another consecutive term. “In their demonstration of true commitment to country, the successful VIP candidates are aware that immediately upon being officially confirmed on Nominations Day for the General Elections of 2018 or 2019, they would be obliged to tender their resignations from all public offices held,” said Fahie in a media release late Sunday night. “Candidates view this not as a sacrifice but as a duty and a calling to serve their country at this critical juncture,” he added. And while firing at the governing NDP, Fahie said they have displayed an inability to “cease and desist from their public display of animosity towards each other”. He further claimed the NDP have proven themselves incapable of working in harmony for the benefit of the territory. The DMV is one of the most efficient and structured government departments. Reps like Mr. Rymer are what we need right now! He has my vote. I think that Kye will make an outstanding 5th District Representative. It will happen. He is a fine young man. 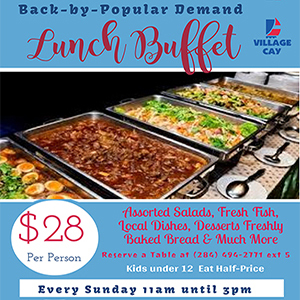 Great selections of choice, strong potential leader, politics is back for the better int he BVI! Nice bid! I like this. It is good to see public servants making the move under Hon. Andrew Fahie. Fraser must be kicking himself right now but even more NDP Ministers and back benchers must be shaking in their shoes. This will be an election for the ages. NDP shaking? For what? Stay tuned…..
You should stay tuned! We will take the envelopes and still vote you out.. Then you will see what real jokes are. #Facts. A pity he formed his own party because if he and Fahie worked together in the best interest of the country they could be a formidable team. From what I can see in this article, Andrew himself is going to be the only candidate who has ever successfully contested an election before. It is encouraging and noteworthy that some civil servants are volunteering to serve the public in a differing capacity. Though it is an awkward situation, professionalism must prevail. While they are still employed, they should be treated with the same respect, dignity…….etc as any other employee. Ok. The Phoenix rises from the ashes. As the Phoenix in Greek mythology, the VIP is showing signs of life. There are still three more district members (2, 3, and 8j and 4 at large candidates to roll out but it appears to be fielding competitive candidates. The generational mix is encouraging; the baton is being passed from Boomer to millennial. Goood start but I will keep my powder dry, exercising fire discipline. Still need to see VIP plan of action and milestones for leading the territory out of its current crisis. Need to see its priorities, funding plan, implementation plan…….etc. Need to see its plan for constructing a world class infrastructure (roads, water, electricity, sewage, drainage, drainage, ports, gas, telecommunications), modernized educational platform, diversifying economy, lowering the cost of living, more political and governing autonomy, access and availability of health care, preserving and protecting the environment, strengthening the social safety net, reforming the civil service, reducing/preventing violent and property crime, training and educating local human capital, lowering skyrocketing cost of living, airlift, improving ferry system, consumer protection legislation, whistle blower legislation, property insurance legislation, improver sports facilities/ programmes, revising NHI, reforming procurement process, land management, retirement unfunded liability ……..etc. This is a long bucket list but all important issues that need urgent attention. (1) Not much political acumen combined, it appears. (2) Favors, and “may–will” be manipulated by the Caucasoid and rich expat. (3) There has been an underlying and known personal drive to accumulate more and more. (4) Mostly inclined to assist those with determined wealth at the exclusion of those who need when need. Clearly, the projection in political service has shifted, perhaps permanently, on the side of human worst evil, the accumulation of wealth. Nonetheless, may they all be guided to put country and the people first, and not exclusively the rich Caucasoid, their pockets, and the poor, abused and down trodden people never. Such is a true, accurate and real political, economic and human fact prevalent for decades. Change must come now! Meanwhile, may god bless our Virgin Islands and its people, even those that have and are still oppressing their own..
And before the current reps were elected to government did they have much political acumen? Also…. your point #2 – All I will say is #freewillyt – the current government sold themselves several times over. Also just my own personal opinion – you’re a racist and your comment should not have been given the light of day. Who have outside child with Spanish woman, who is man and like man, who wife does hand them, who crazy…… I will take my chances with this set any day. The headline is out of order. The NDP does not own the public service. This slate of candidates is in encouraging and brings hope. Alot of people are underestimating the VIP and think that the NDP will win hands down. However I see a major surprise coming the NDP’s way. I think you underestimate Hon. Walwyn and his team. Names are one thing, campaigning and letting the people know what your plans are for the Territory is another story. Nothing against the young man, but I believe he should run in the second. Are the 5th district people that uneducated that they can’t find a representative of their own? I am quite sure, there are many young individual in that district that Andrew can nurture. Stop looking into the same circle and find people outside the box. He lives in the district. What is the issue? All I will say is don’t just vote for any body because you want to see the current government out,Choose wisely.This is our territory ‘s future at stake in these very critical times. Fellow BVIslanders we should all be outraged with the present administration. Vote for the future of our children and grandchildren. We cannot afford to go along with the behavior of this NDP Administration. Vote VIP all the way. We cannot be timid, we cannot be afraid of change. We only know our capabilities and what we can accomplish, if we are willing to take the risk. Vote VIP all the Way. We did that in 2007 and look what happened. It won’t work this time, we will vote for the best persons for the job. Both sides will be able to let the masses know what their plans are and then we will vote for who we think can lead the Territory forward. Let’s be fair, both Andrew and Myron are the leader of their respective parties for the first time so let us judge them on their plans. Plans is one thing but ‘proper implementation’ of such plans is another. Both have acted in the capacity of Minister of Education and both watered down the education system just to have a favorable pass rate. In my humble opinion, neither have the acumen to really lead! God help the BVI! Thank you BVI news for posting posts that are in favor or not in favor of the VIP Selection. Another news site is only posting comments that is in in favor of the VIP, once you are not in favor they are not posting it. The boycott has already begun. Come election day there might not be any VIP or NDP only who have proven themselves to become a good leader. Both parties does the same things over and over I don’t see the big deal. Same set of goats being fed only changing to a different side of the pasture. I tried seeing folks jumping from this side to that side of the fence. That speaks a lot that many can’t be trusted. Awesome selection VIP ALL THE WAY ! This is a great start! Can’t wait to see the rest of the team! Beside Fahie and Vincent Wheatley I dont see how the others will make it thru. They are all local champions. VIP need to recruit candidates with internation appeal. Will they be properly respected when representing us overseas? I am a black “born here” but there are other born heres who are not black and actually have something to contribute too. All local parties have got to widen their scope to attract a membership that reflects of our multi cultural BVI. Try go back to sleep from talking piddle. For to long the people of these virgin islands have been making the same (mistake/decision) every single election. VIP is voted in, they mess up don’t continue with projects NDP started, unaccounted monies spent on projects that never finish BOOM we vote them out.. Here comes the NDP government doing the same think the VIP did even worst and we as locals seem to forget not to long ago the same government we gonna go right back and put in..
Makes no sense … what we need is persons thats gonna put country first. Theres nothing as a honest politician but damm at least make the country first priority. to name a few… my two cents? vote who u can strongly see as a leader not Party.. we gonna be going no where fast as usual if we don’t think hard. We complain that our politicians flip flop yet the voters continually flip flop and blame the elected. BVI going backwards, there needs to be a local change of attitude. Constitutionally, Election Day is less than a year away and the starter gun has been shot. Hurricanes Irma and Maria, two Cat 5 storms, devastated the territory, ie, infrastructure, public facilities, personal residences, economy., institutions…….etc, thrusting the territory into crisis. In a twisted way, the storms presented a platinum opportunity for a national reboot. The upcoming election presents the opportunity for the electorate to elect the government it desires to lead the monumental recovery effort. Moreover, this election presents an opportunity for a fresh start. However, the electorate must get engaged to take advantage of the opportunity. Universally, the electorate dislike hearing bad news, the truth, a strong dose of medicine…….etc.Consequently, politicians accommodate the electorate by kicking the can down the road, overpromising and under delivering, incurring unaffordable debt…….etc. They put off difficult decision(s) as long as they can; they shift the decisions to successors; they shift the decisions to a date when they are out of office;they shift the cost to the next generation(s). This kick the can down the road process with the endless delays often ends up costing more than if the issue was solved up front. The electorate cannot be averse to hearing bad news, the truth; they cannot avoid taking the dose of bad tasting medicine; they must demand the truth. Politicians kick the can down the road because of the fear of not getting elected or re-elected if they keep it real with the electorate. For example, if a politician promises to raise taxes though the revenue may be needed, they often are not voted in or voted out if they are encumbents. The electorate is often told what they want to hear instead of what they need to. They must go for doing right over looking right. Furthermore, the electorate must hold their representative(s) responsible and accountable. “They must go for doing right over looking right.” Deep! He did not exist… how the hell could he be black..you need to wake up from talking piddle.Time to stop allowing ourselves to be programmed into bull S..t.